For this week's photo art we used the PicMonkey Comic Heroes Theme Sketch filter and coloured it up a bit. That's an eye-catching creation. Great job. Happy Caturday to you and Mum! That is a really great effect, Athena! That looks so cute, Athena! That's really cool and unique! Hope you had a fun Halloween and have a great Caturday! Furry cool effect in that Picture ! We like that a LOT!! Happy Caturday. That came out great, but anything with Athena always does. 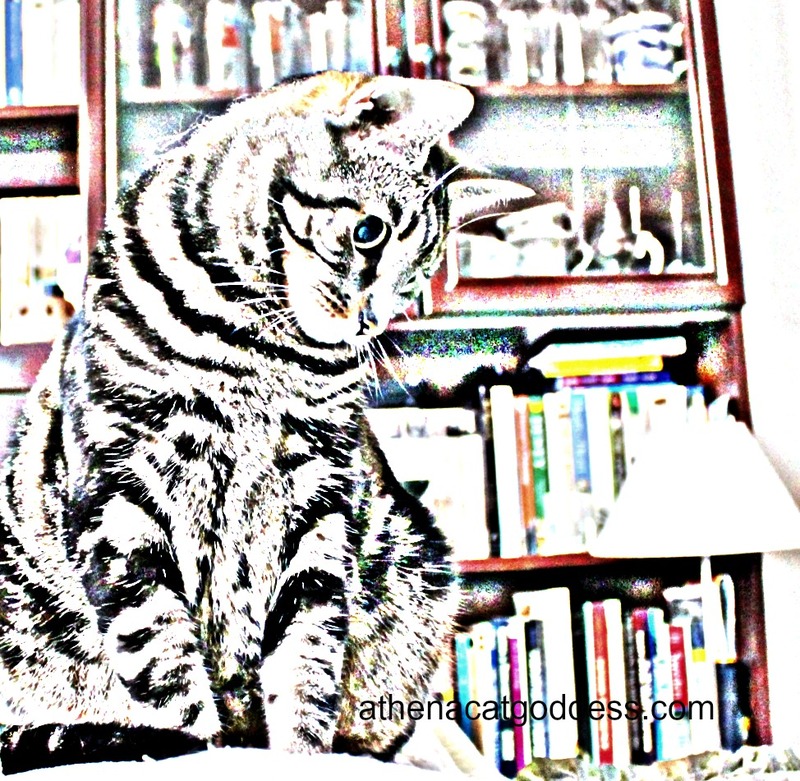 Athena you always find the neatest ways to make beautiful Art, but then you are a beautiful piece of ART yourself! We cannot access the linkz in code because it says we must have an account. This happened to us yesterday, has something changed? So we cannot link everyone like we normally do in our posts. Those new cartoon features on PicMonkey are great to play with. Your’s is fun. That's cute. Like what you did with it. What a absolutely gorgeous shot of yous!! I don't think something's changed but I will check. It's really odd. I haven't done anything different. Maybe there's a problem with the code on their end. Really sorry about that. Same here, but last week it didn't. Thanks for letting me know. Don't know what happened. I'll check it out when I have more time. It's so annoying because I don't think I've done anything different. Thank you:) Yes, very stripey!